We are a full service salon, dedicated to providing a memorable experience for each of our guests through exceptional service, technical excellence, creativity, and teamwork. Our mission is to create a salon atmosphere where inner and outer beauty is celebrated in a relaxing, positive, fashion forward environment. 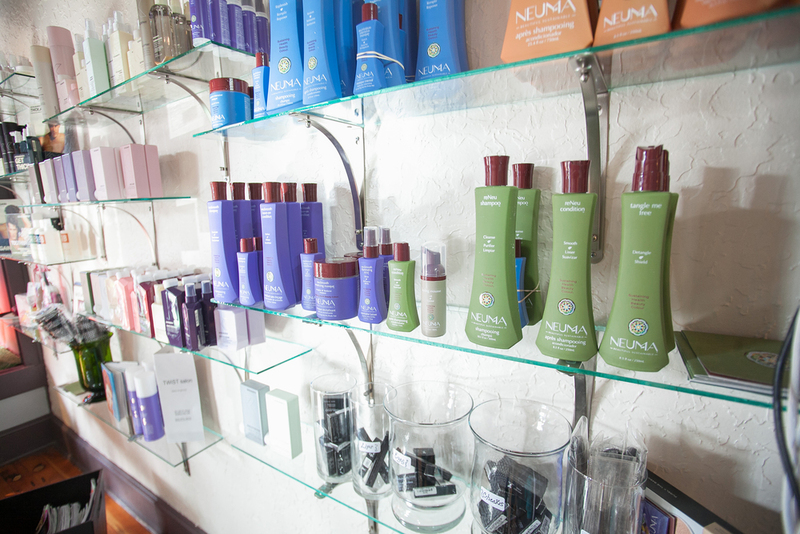 We believe in making people feel amazing and look beautiful. KEVIN.MURPHY "skincare for your hair"
"Born from the same philosophy as skincare, KEVIN.MURPHY products are weightlessly designed to deliver performance, strength and longevity." "uses only renewable, beneficial, plant-based, color safe ingredients, with certified organic extracts. ZERO synthetic fragrance, sulfates, sodium chloride, parabens, 1,4-dioxane, phthalates, glutens, neurotoxins, aluminum compounds, glycols, formaldehyde donors, ureas, carcinogens, environmental pollutants - simply a genuine, sustainable brand." "Dermalogica is a product line free of common irritants and ingredients that could cause breakouts (including lanolin, SD alcohol, mineral oil, artificial colors and fragrances) that will improve skin health, and is only available from qualified skin care professionals." Now offering facial services to improve your skin care regimen.